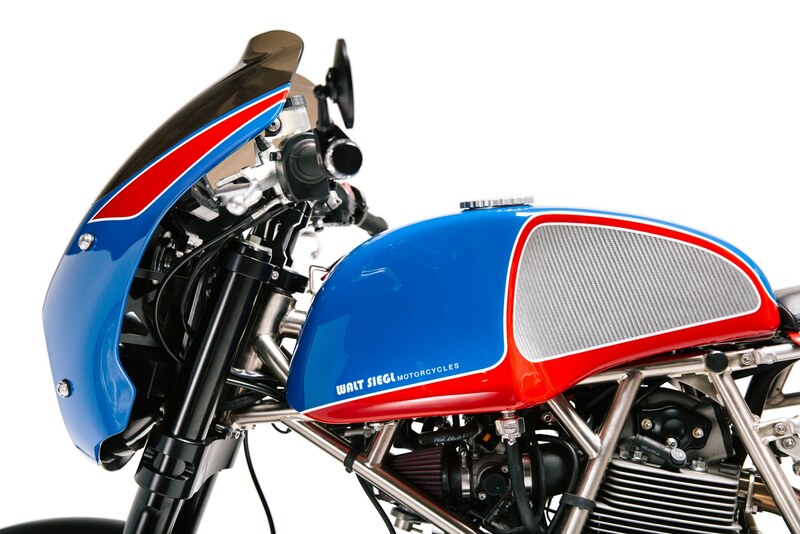 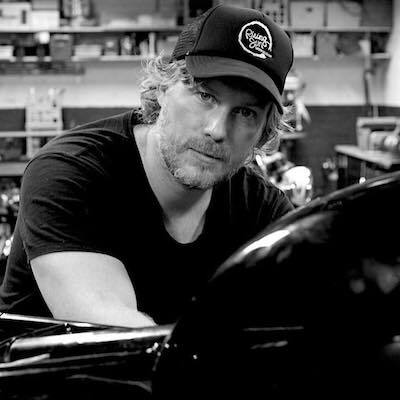 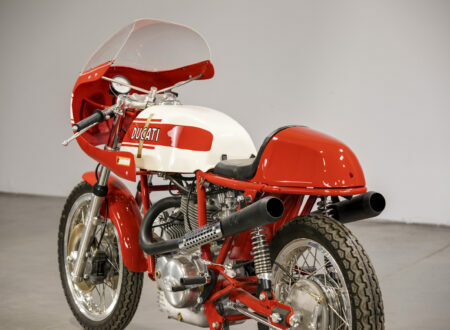 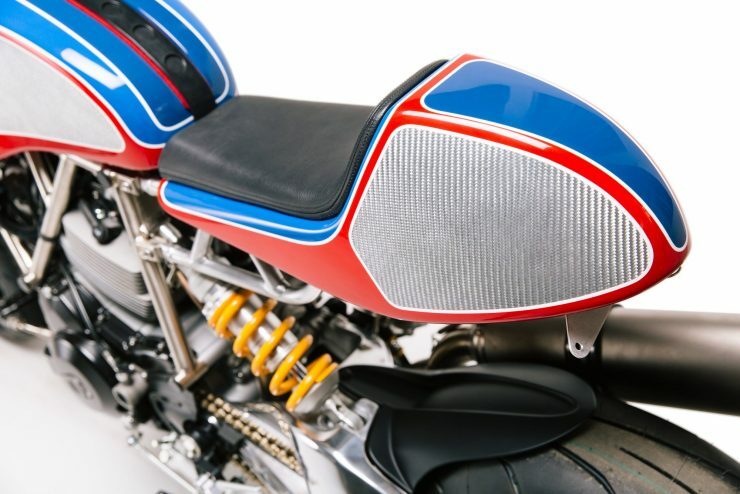 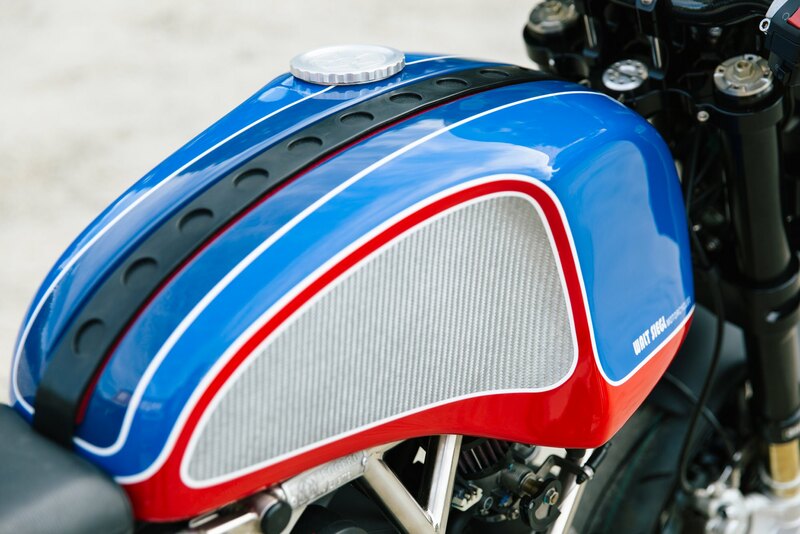 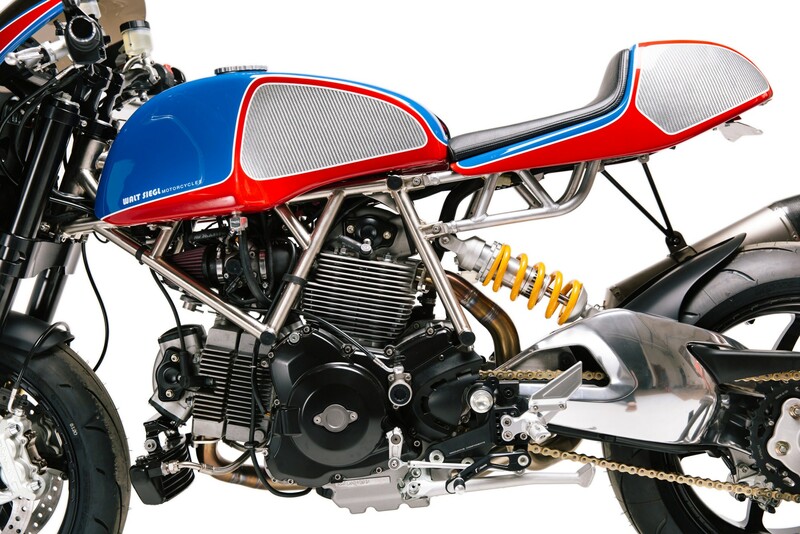 Walt Siegl is one of those rare custom motorcycle builders who you wish you could place in the head designer position at a marque like Ducati or Harley-Davidson. 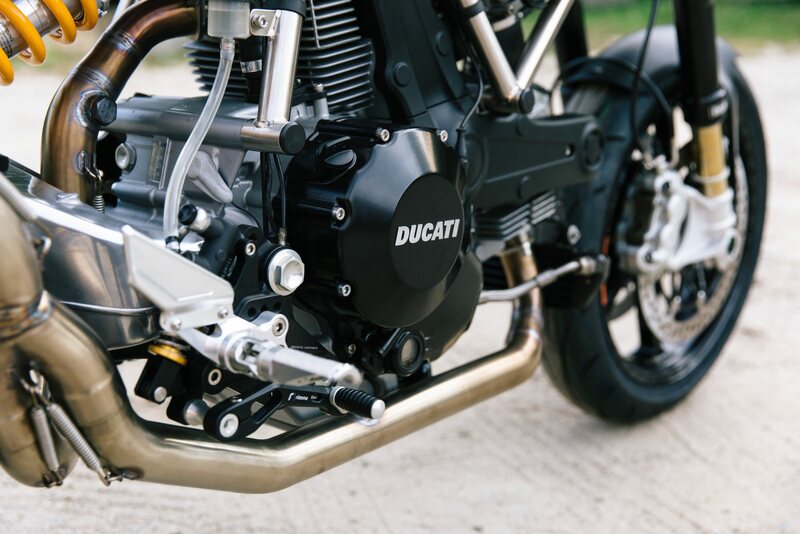 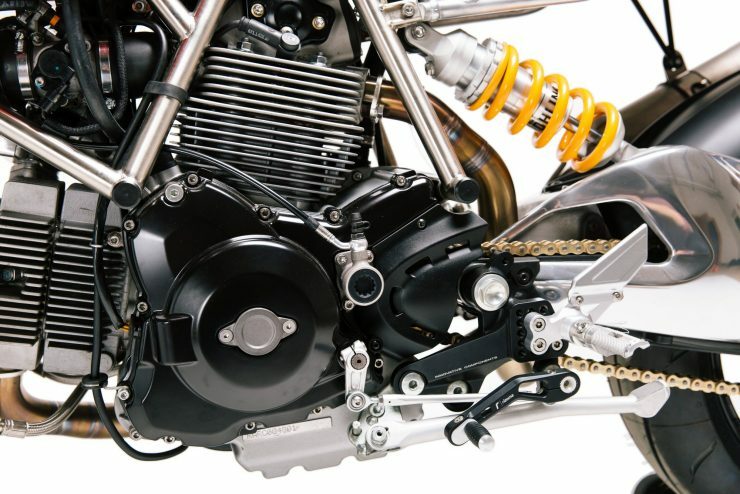 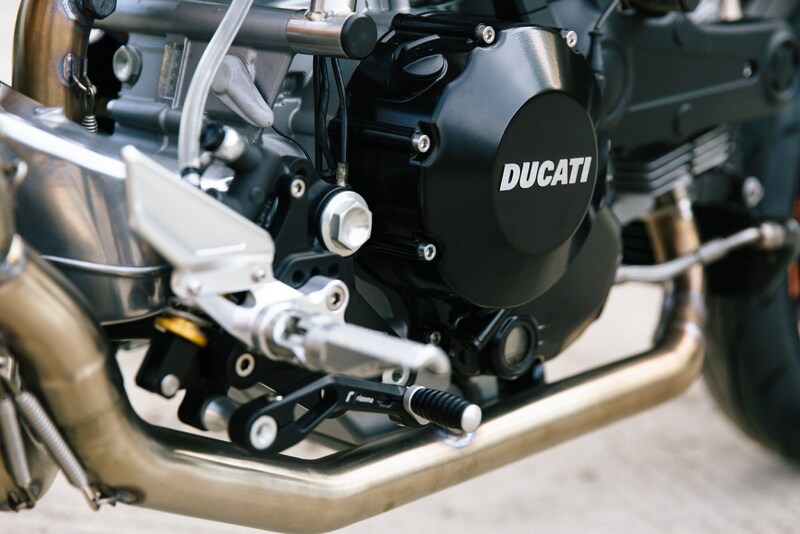 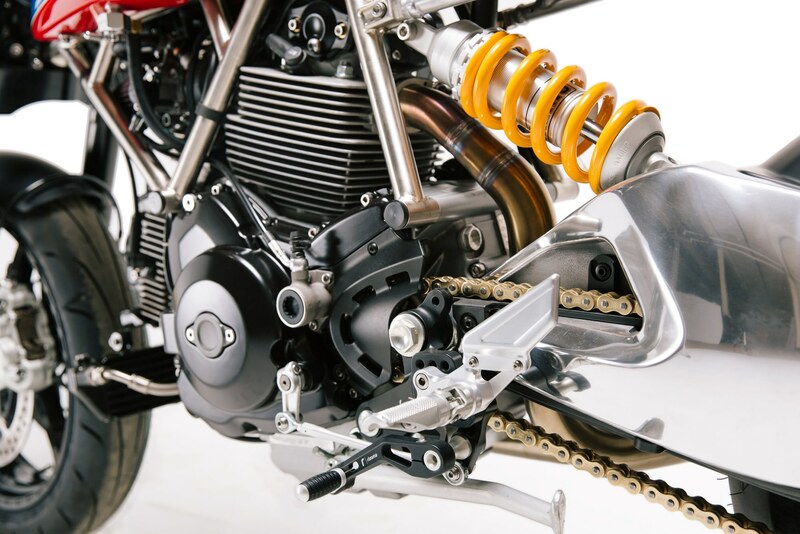 The motorcycles that roll out of his New Hampshire workshop look like production motorcycles from an alternative reality where design and engineering are more important than inexpensive mass-production or the need to appeal to the lowest common denominator. 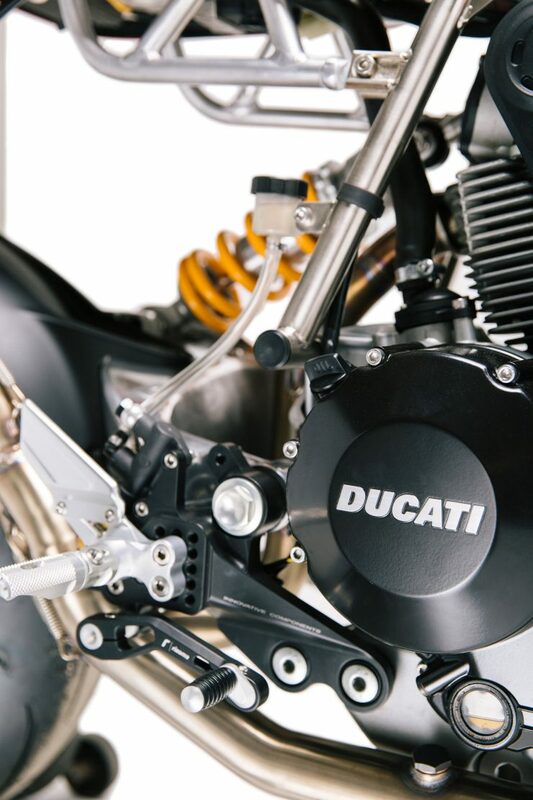 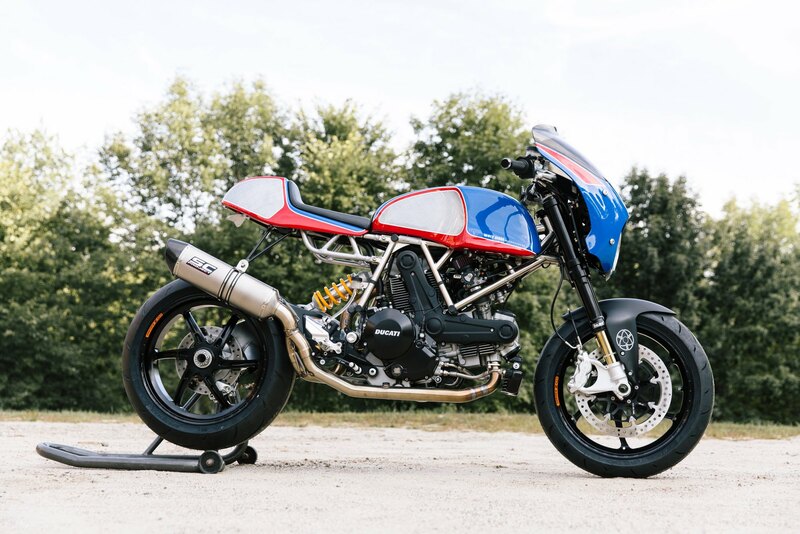 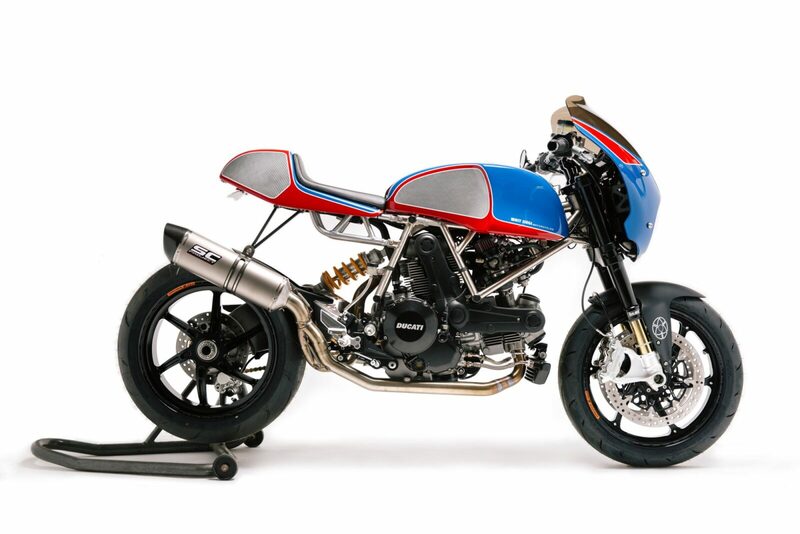 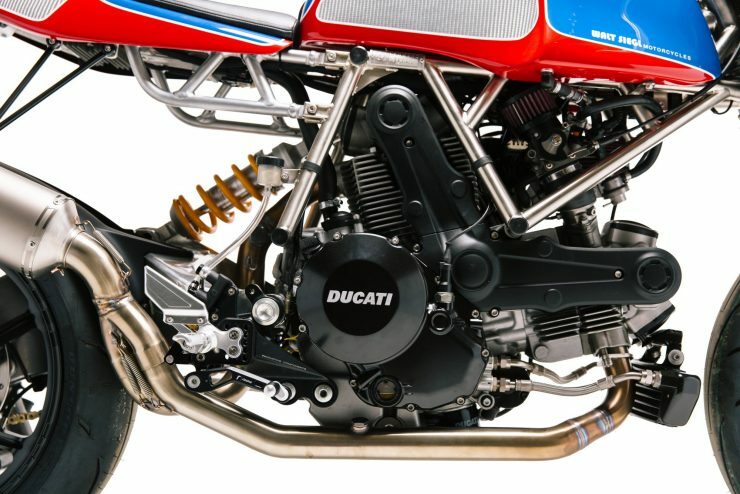 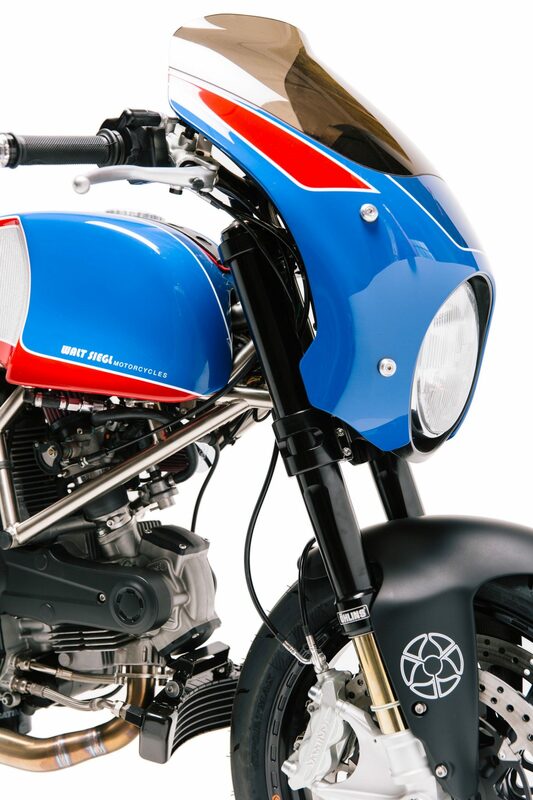 The motorcycle you see here is the new Walt Siegl Leggero GTS, its engine and single-sided swingarm started life in a Ducati Monster 1100, but there’s very little of the stock Ducati left. 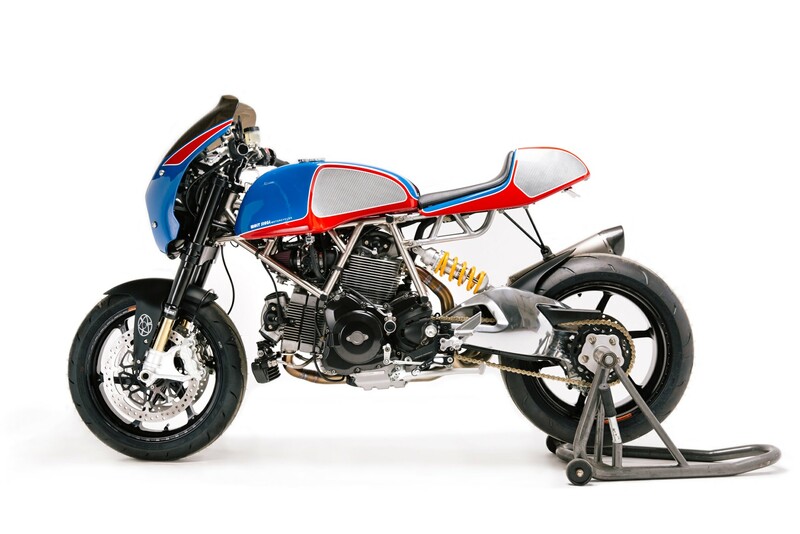 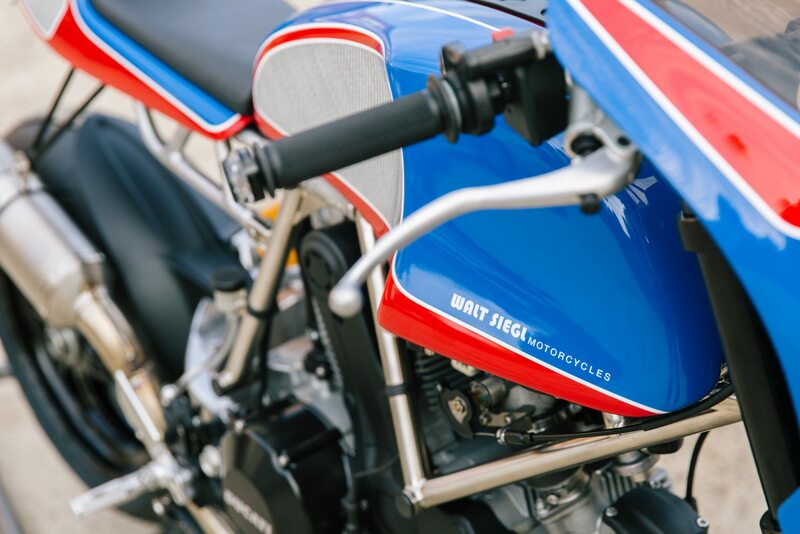 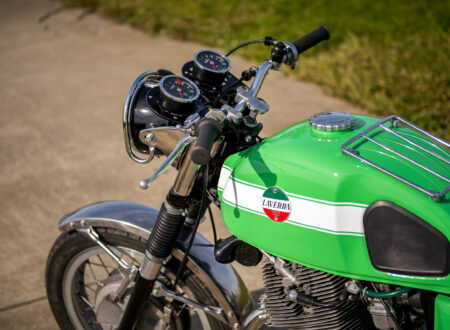 The Leggero series of motorcycles by Walt are all based on Ducati production bikes – but they all have bespoke trellis frames, suspension, brakes, bodywork, fuel tanks, electrical systems, wheels, and exhausts. In fact the only thing that remains un-modified is the ignition key. 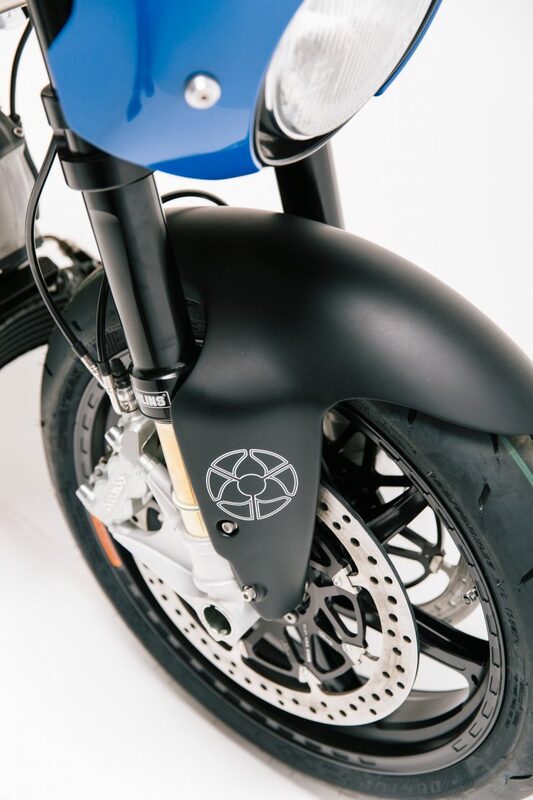 The GTS is a new version of the Leggero developed specifically for daily use in urban environments. 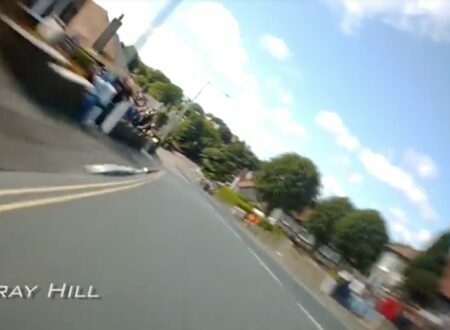 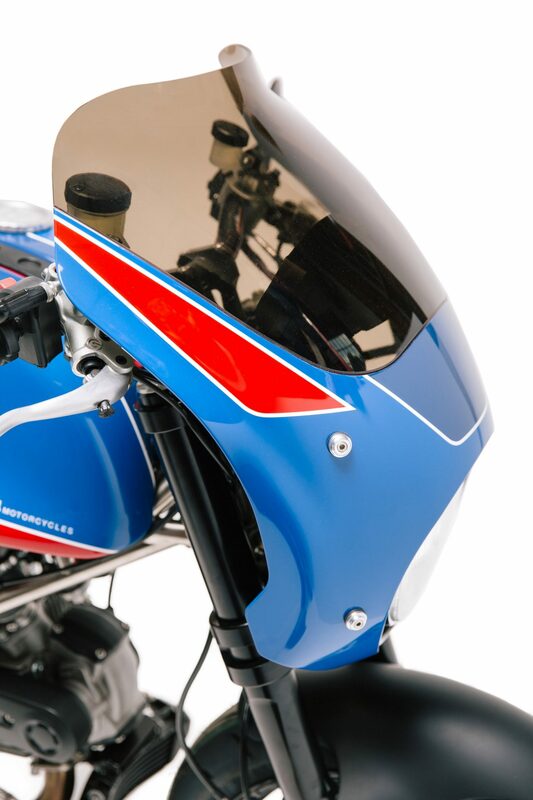 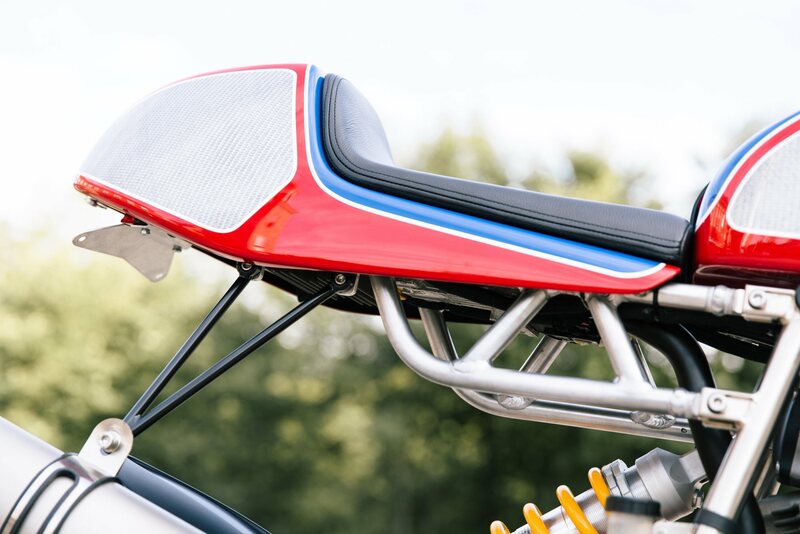 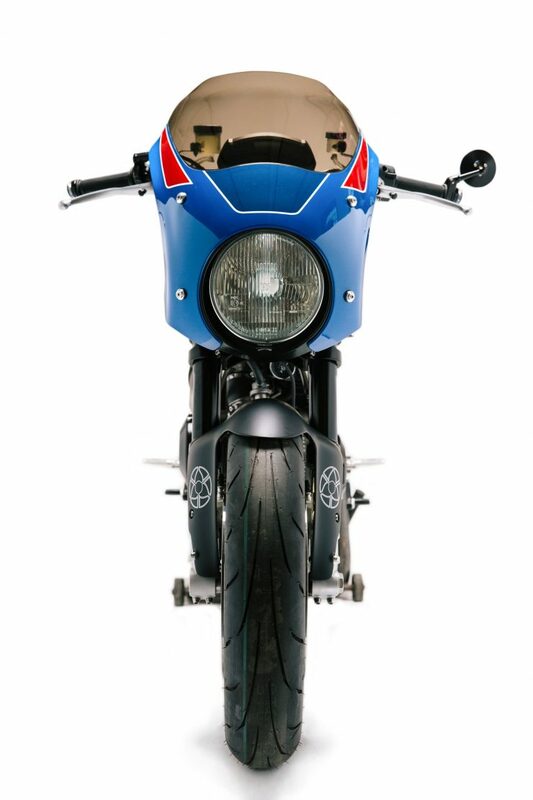 The handlebars are slightly higher, the suspension geometry is modified, and the headlight fairing helps to push airflow up over the rider’s head. 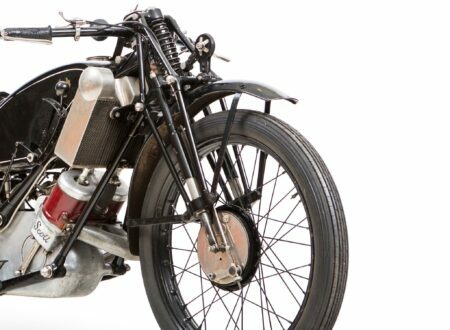 Walt built a new trellis frame from aircraft grade chromoly with an aluminium subframe so the chassis weight could could come down to just 14 1/2 lbs. 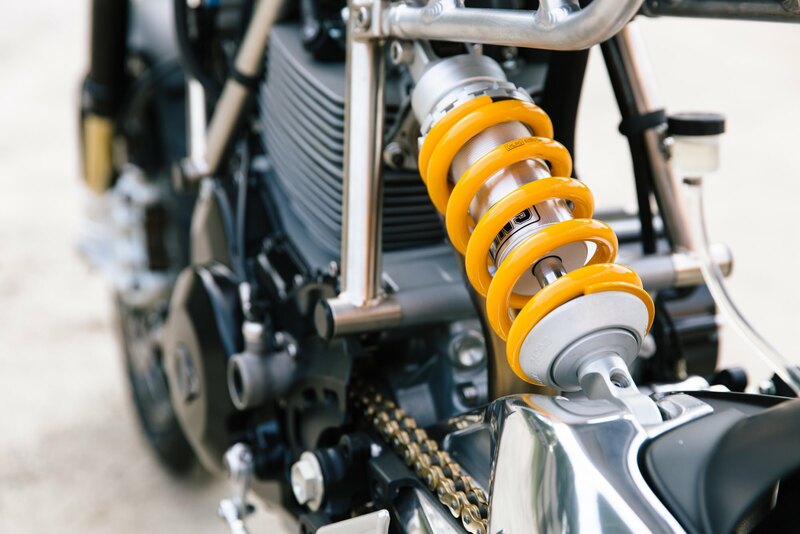 A set of the latest generation Öhlins suspension was fitted front and rear, and a set of OZ Racing lightweight wheels helped to keep the GVW to an absolute minimum. 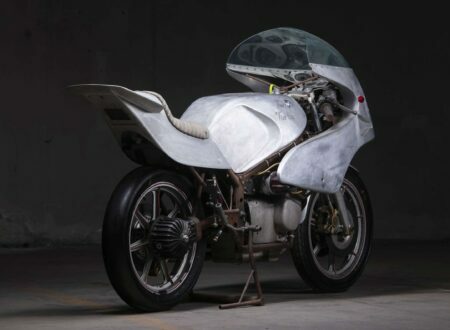 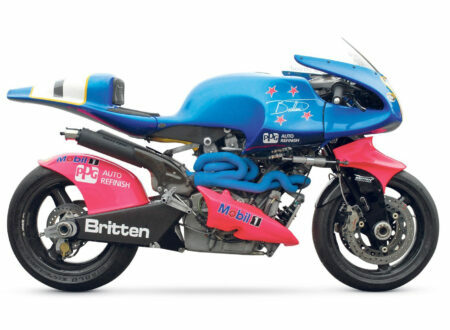 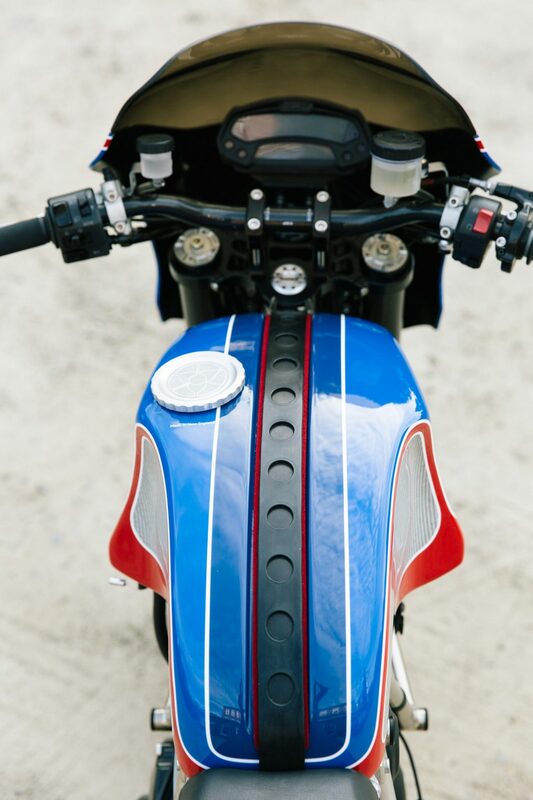 Mechanical magician Bruce Meyers rebuilt the engine to significantly higher performance specification, and an all-new wiring harness was made bespoke by Aran Johnson – a task that’ll make your eyes water if you’ve ever messed with the electrical systems on a modern motorcycle. 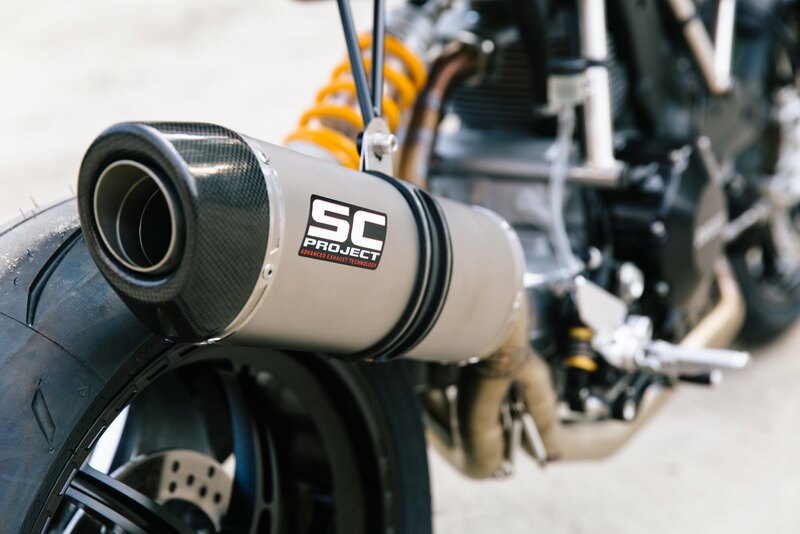 Leonard Wu of LWS Tuning then programmed a new tune to take advantage of the new SC Project exhaust system and higher-spec engine. 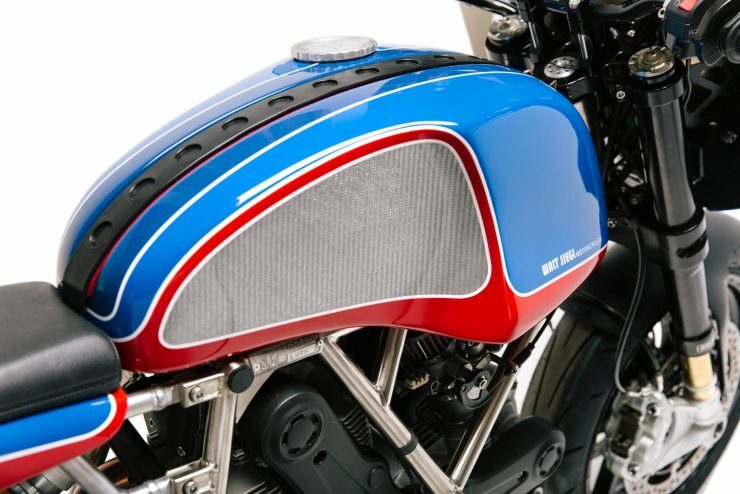 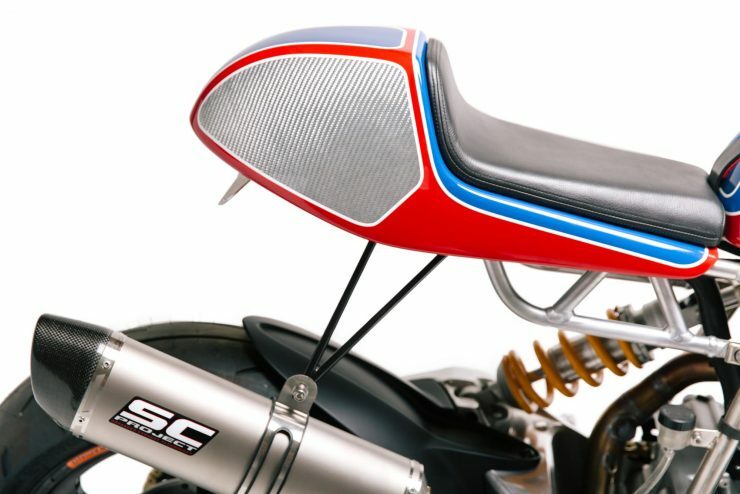 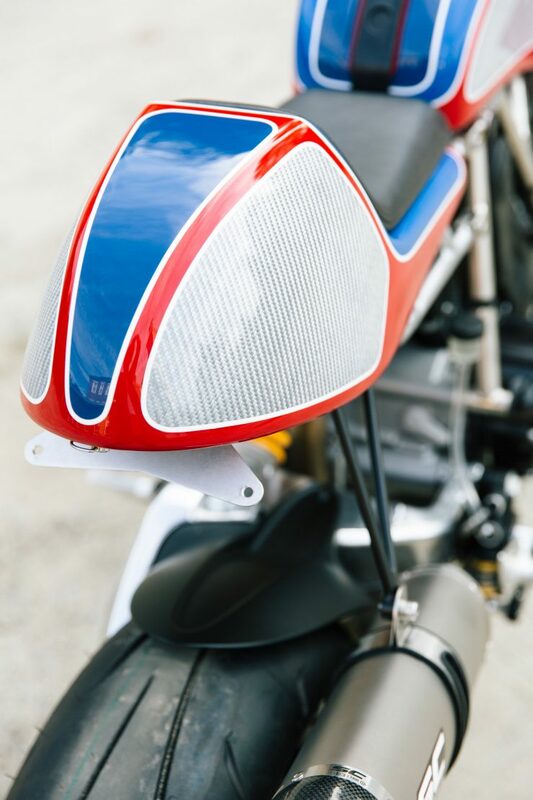 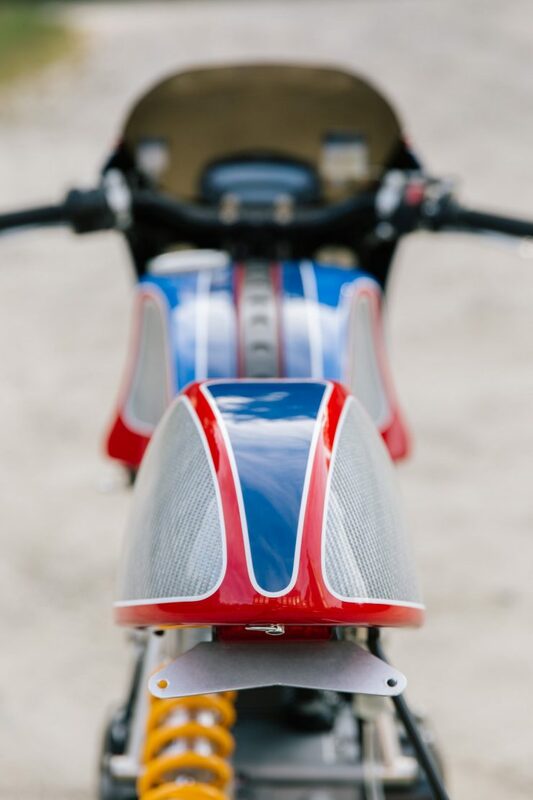 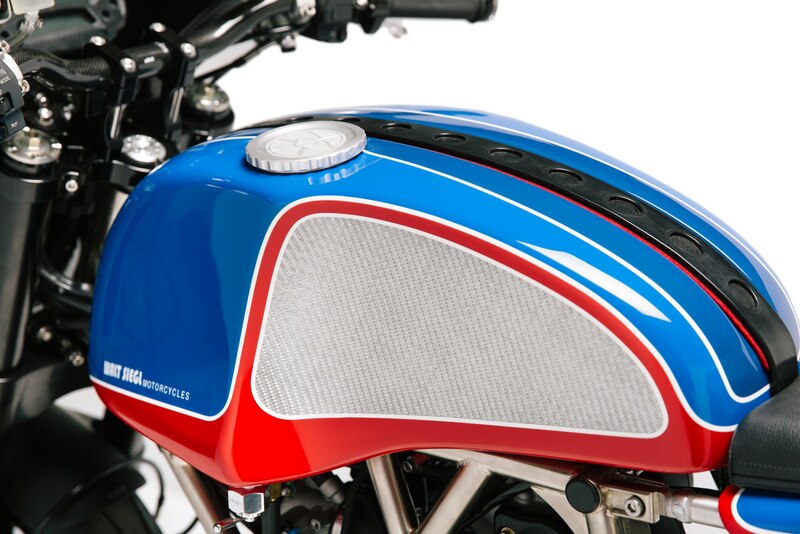 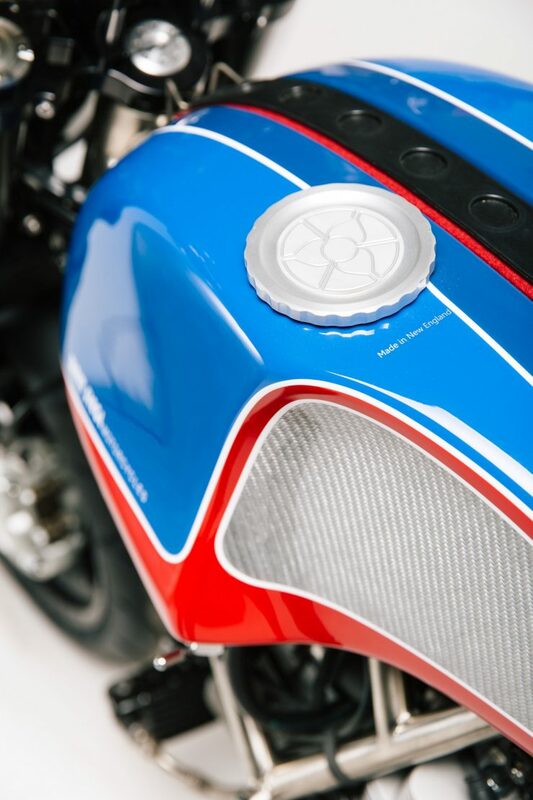 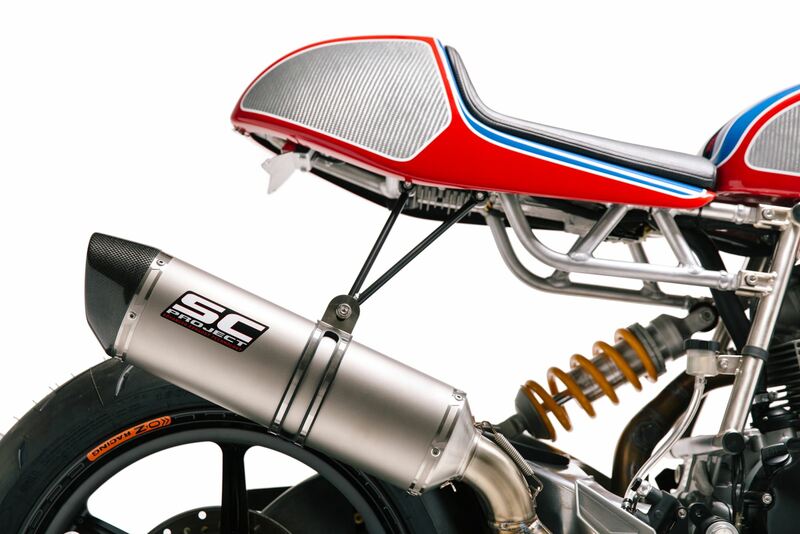 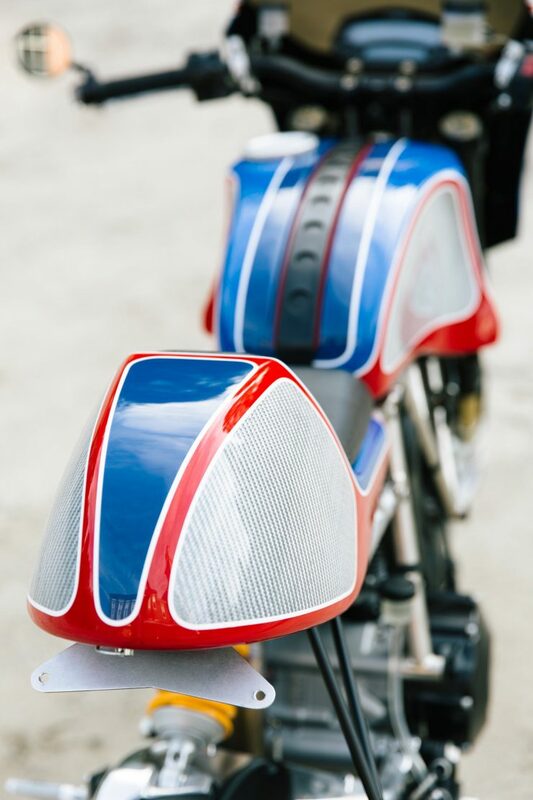 The seat, fuel tank, and fairing were all moulded in-house by Walt from hybrid kevlar, and the final paint work was done by the talented Robbie Nigl of PeachPit Racing. 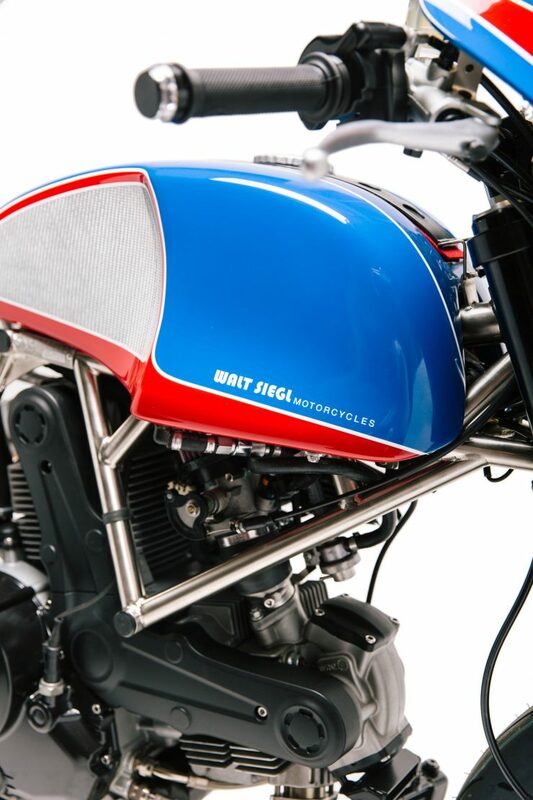 The completed bike is the first in the Leggero GTS line, and you can order one ore read more about it via the official Walt Siegl website.